We provide smart home installation services in the Tampa, FL area and are here to exceed your expectations. From remote monitoring and home automation to safety and security, the capabilities of smart home systems today are incredible. If you’re ready to take your home into the 21st century with a smart home system, but you have no idea where to start when it comes to setting it up, turn to us at 5 Star Electrical LLC. We provide smart home installation services in the Tampa, Florida area and are here to exceed your expectations. In many cases, in order to use a smart home system, the home has to be wired for it. Just like a standard electrical system, all of these wires must meet at a central location where the controllers are. Our team is prepared to conquer a variety of different wiring scenarios, so your smart home system works flawlessly for many years to come. Once we start wiring your home during the smart home installation process, please feel free to ask us any questions you might have about what we’re doing or the next steps we’re going to take. We want you to feel as informed as possible, so you’re able to fully benefit from equipping your home with one of these systems. 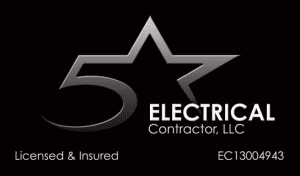 To find out more about enhancing your home with smart home technology and how we can help with the smart home installation process, reach out to us at 5 Star Electrical LLC today. Thanks to our experience and our dedication to getting things done right the first time, we’re confident you’ll be more than happy working with us.